Students will learn about electricity, wires, circuits, switches, and then build their own flashlight that they can take home. Open to children elementary and middle school aged. Cost is $5 per child. Must register by March 22. CAUTION: the flashlights will contain small parts that could harm small children. Dahlgren Heritage Museum presents the first STEM event of the year – Soda Straw Rockets. This event is open to the first 12 students ages 9 – 12 yrs old. Cost is $10 per student. 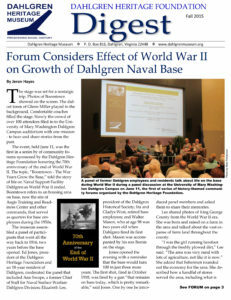 To register, visit https://www.eventbrite.com/e/dahlgren-heritage-museum-stem-event-tickets-54609482432.